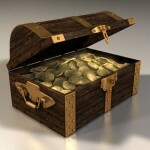 Everyone has that dream of stumbling on something that turns out to be worth a fortune or has some major significance. Something that we just find in the everyday course of life. This list tells the stories of those exact events, from fortune to historical importance, where everyday people in the course of everyday life have found treasures that we dream of, and that we all enjoy reading about. In 1992, Teri Horton purchased a painting in a San Bernardino, California thrift shop for $5.� Horton later put the item out at a garage sale to which one visitor, who happened to be a local art teacher, suggested that the painting was extremely similar in technique to Jackson Pollock, one of the most influential and important American painters of the 20th century. Horton took the painting to numerous art experts to mixed responses, as some felt it could be an original Pollock painting and others were not convinced. Authenticity was difficult to establish because the painting was unsigned and without provenance [the documentation of a painting�s history]. Forensic specialists inspected the art and matched a partial fingerprint on the canvas to a fingerprint on one of Pollock�s paint cans and two other authenticated Jackson Pollack works.� Horton�s painting is valued in the neighbourhood �$50 million dollars. In 1988 the shovel of an excavator working on the demolition of an old house in the medieval centre of Sroda Slaska in Poland literally broke through the lid of a container with silver and golden coins. Further investigation discovered thousands of gold coins, jeweled crowns, bracelets, pendants, clasps and rings. 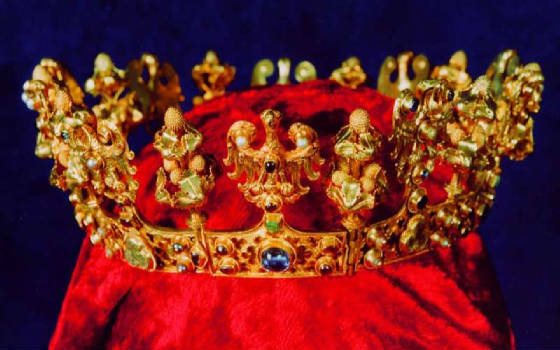 It is generally agreed that the treasure most likely belonged to the Emperor Charles IV of the House of Luxemburg who, in 1348, needed funds to support his claim to the Emperorship. Charles pawned various items in ?roda, then part of the Duchy of Wroc?aw. However, soon afterwards, the black plague visited hit the region and it is believed that no one ever reclaimed the treasure, which was left hidden somewhere in the town until it was discovered 500 years later. 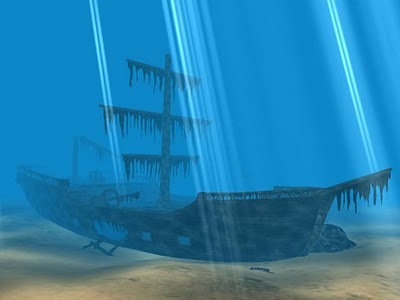 In 1987, divers off the coast of Guangdong unexpectedly discovered a massive shipwreck.� Investigators found the vessel to be the 25-meter-long and 3,800 ton Nanhai No. 1, dating from the Song Dynasty (960-1279), and recognized as one of the oldest and biggest merchant boats sunk in Chinese waters .The Nanhai No. 1 is believed to be a merchant vessel that operated between the southern Chinese region and the rest of the world. It was the first ancient vessel discovered on the “Marine Silk Road” of the South China Sea. Green glazed porcelain plates, blue porcelain pottery and other rare antiques have been found during initial explorations of the ship. Archaeologists estimate that there are probably 50,000 to 70,000 relics on the ship. In 1912, children playing in the fields in Ukraine quite literally fell into a treasure trove of Byzantine gold and silver artifacts. One boy fell in a hole that turned out to be an ancient grave – from the 7th c. AD – that contained the gold and bejeweled vessels that would in that time typically have been left to accompany the dead on their journey. 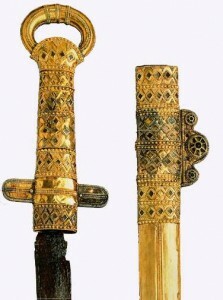 Among them most impressive of the objects discovered is a sword made of gold and precious stones. It is believed that this sword and other valuable objects came directly from the Byzantine Emperor, as gifts to the deceased in the grave. Edgar Church, who passed away in 1978 at the age of 90, was an American artist who worked for the telephone company as an illustrator of commercial telephone book advertisements, precursors to Yellow Page ads. Church kept thousands of miscellaneous periodicals in his Colorado home to use as references for his art from which he would clip images to store in one of hundreds of labelled boxes. Some may recall this technique before the days of pulling up an image off the hard drive. The collection he amassed would become one of the most famous and valuable pedigree collections known to surface in the comic book industry. The collection is known as the “Mile High” collection [named after the dealer that discovered and acquired the treasure trove] and is the single most well-known, sought after and established pedigree collections in history. The massive collection consisted of between 18,000 and 22,000 comic books, worth well into the millions of dollars. 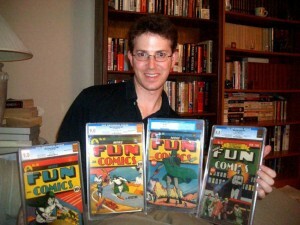 The collection is famed for holding the highest quality copies of many Golden Age comic books, including the most highly sought after comic of all: Action Comics #1. This treasure trove was discovered in 1949 by three brothers who worked together in a tile factory near the town of Panagyurishte in Bulgaria. 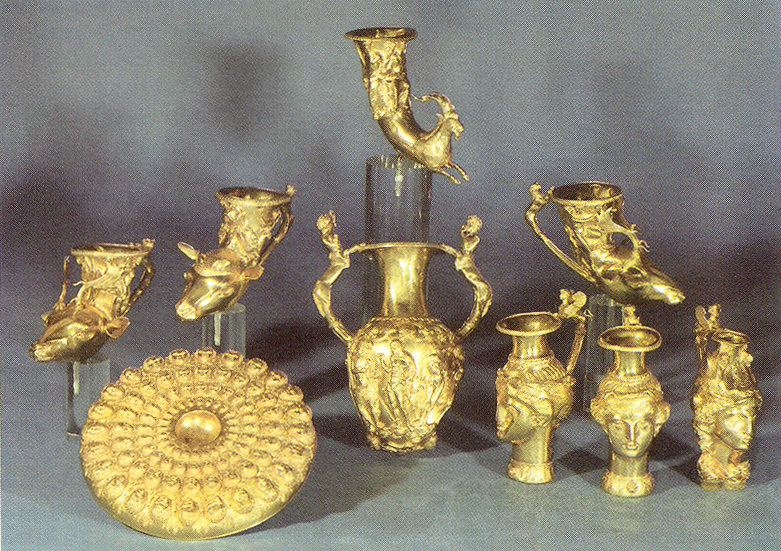 The historic objects date from the 4th-3rd centuries BC, have a total weight of 6.164 kg of 23-karat gold, and are decorated with scenes of Thracian myths, customs and life. 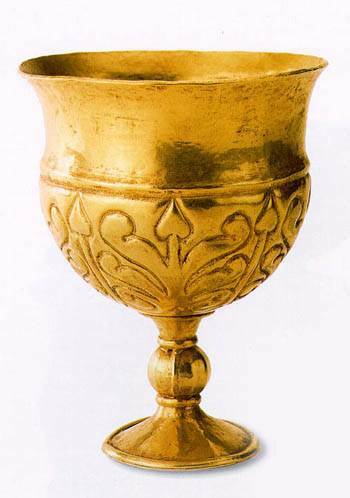 The collection is thought to have been used as a royal ceremonial set by the Thracian king Seuthes III. 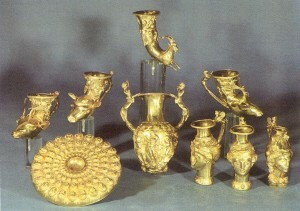 As one of the best known surviving artifacts of Thracian culture, the treasure has been displayed at various museums around the world. It is believed that the items may have been buried to hide them during 4th century BC invasions of the area by the Celts or Macedonians. 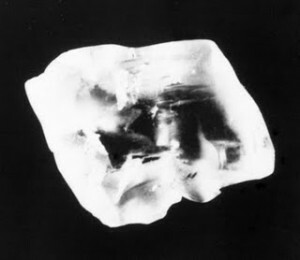 At 40.23 carats, the Uncle Sam Diamond is by far the largest diamond ever discovered in North America, and it was found for free, picked up off the ground in a state park in 1924. The Crater of Diamonds State Park is an Arkansas State Park located near Murfreesboro in Pike County, Arkansas, USA containing the only diamond-bearing site in the world that is open to the public. This is an open and accessible area that is known to have diamonds where people can freely wander about with hopes of good luck and fortune. Park visitors find more than 600 diamonds each year of all colors and grades. Over 25,000 diamonds have been found in the crater since it became a state park. Visitors may keep any gemstone they find regardless of its value, and some, such as the famous Uncle Sam Diamond, have been quite valuable indeed. On average two diamonds are found every day at Crater of Diamonds State Park. In 1989, Donald Scheer, a Philadelphia financial analyst, purchased a painting for $4 in a local used goods market not for the painting, but because he liked the old frame. Upon taking the painting out to liberate the frame that he was after, he noticed something inside, which turned out to be an original copy of the United States Declaration of Independence, proven by an appraisal by an expert. 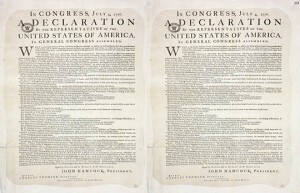 It was authenticated as an original copy of the Declaration of Independence that was printed by John Dunlap. �There were only 24 original copies of this document in existence to this point. In 1991, Scheer sold the document at auction for $2.42 million dollars. The same print sold for $8.14 million dollars nine years later. 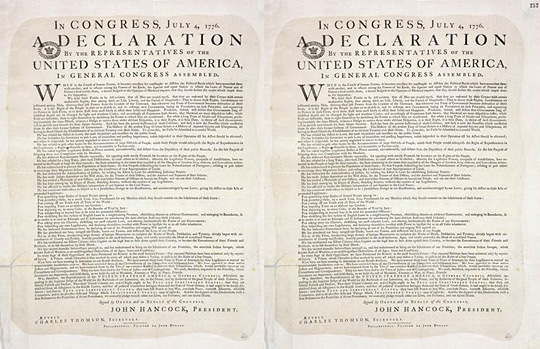 In a striking coincidence, on July 2, 2009, British researchers announced that they had discovered another original Dunlap Broadside print of America�s Declaration of Independence.� It was found at the British National Archives. The Rosetta Stone was discovered by the French army under Napoleon during his campaign in Egypt. In 1798, a convoy under Napoleon�s leadership took possession of Malta and continued on into Egypt. In addition to the requisite soldieres, Napoleon had also brought along what he referred to as �men of letters and science� with the goal of understanding and unlocking the mysteries of the Egyptian lands. Interestingly, after taking the port city of Alexandria in July, by August the Institute of Egypt was established, which effectively founded what is today called the Science of Egyptology. During this stay, in a town called Rosetta by the Europeans, a large engraved stone was discovered. Some say it was found just lying on the ground. Others claim that it was part of an old wall which was ordered demolished by French soldiers. The chiseled inscriptions are in two languages – Greek and Egyptian – and three scripts. The first of the Egyptian scripts is Hieroglyphs, used 3,000 years ago at the time of the First Dynasty. The second was later determined to be Demotic, a cursive language that evolved from Hieroglyphs and dating from 643 B.C. The third was ancient Greek. Since it appeared that the Stone’s message was repeated in the three scripts, and because Greek could be read, over time it might be used to decipher the other two. This was exactly what was done, and it was the accidental discovery of the Rosetta Stone that allowed the hieroglyphs of ancient Egypt to be able to be translated and understood. 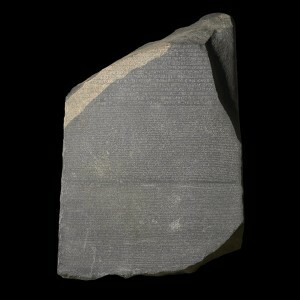 The text on the Rosetta Stone is a decree passed by a council of priests. It is one of a series that affirm the royal cult of the 13-year-old Ptolemy V on the first anniversary of his coronation. 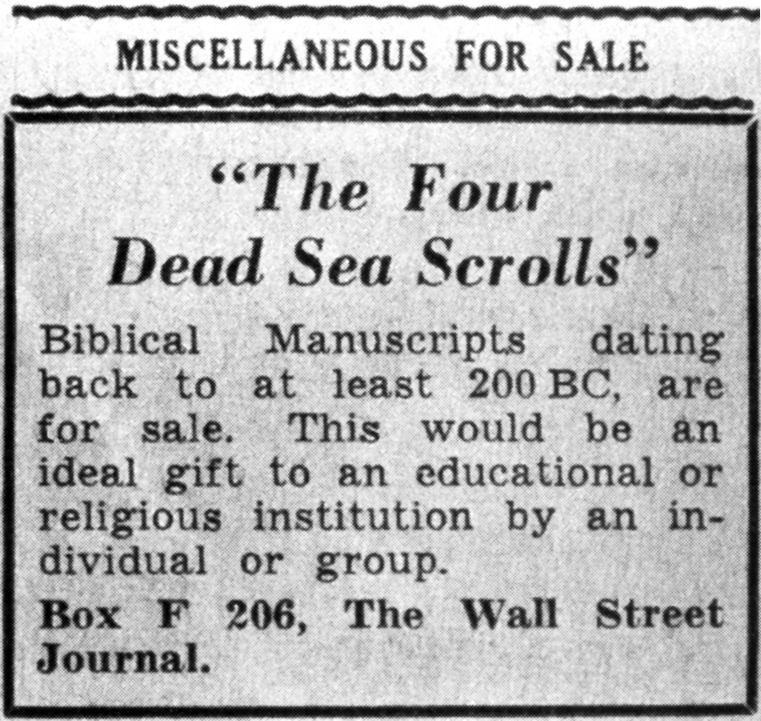 The accidental discovery of the Dead Sea Scrolls is one of the most exciting, fascinating and important discoveries in the social and cultural history of civilization. yes – this opening sentence is quite a collection of superlatives to use in “classical list writing”, which should be objective and dispassionate – but there is just no denying the import of this discovery. In the winter of 1946�47, Palestinian Muhammed edh-Dhib and his cousin discovered the caves, and soon afterward the scrolls. 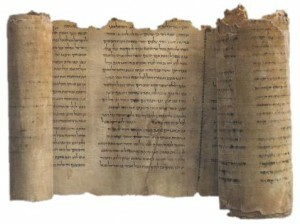 It was this discovery that allowed researchers to piece together the most important shared building blocks of western religions – Christianity, Judaism and Islam – as these were the lost original writings of the ancients, the original old testament of the bible, much older than the Nash Papyrus, which was at the time the oldest document of the biblical age. 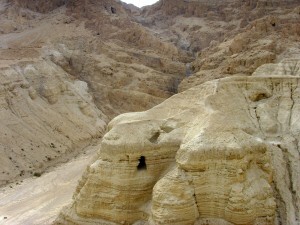 The Dead Sea Scrolls are a collection of about 900 documents, dating between 150 BC to 70 AD, discovered between 1947 and 1956 in eleven caves in and around the ruins of the ancient settlement of Khirbet Qumran on the northwest shore of the Dead Sea in the present day West Bank. The texts include the oldest known surviving copies of Biblical and extra-biblical documents and preserve evidence of great diversity in late Second Temple Judaism [wikipedia]. They are written in Hebrew, Aramaic and Greek, mostly on parchment, but with some written on papyrus. 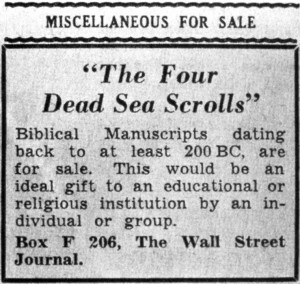 Amazingly, it took d a decade for the find to be fully realized; the scrolls ended up being sold through a classified ad in the paper before reaching the academic world and getting full recognition for what they were. Pretty nice post. I just stumbled upon your blog and wanted to say that I have really enjoyed browsing around. In any case I�ll be subscribing to your feed and I hope you write again soon!